Global gold prices may have been manipulated on 50 percent of occasions between January 2010 and December 2013, according to analysis by Fideres, a consultancy. The findings come amid a probe by German and UK regulators into alleged manipulation of the gold price, which is set twice a day by Deutsche Bank, HSBC, Barclays, Bank of Nova Scotia, and Societe Generale in a process known as the London gold fixing. This “is indicative of panel banks’ pushing the gold price upwards on the basis of a strategy that was likely predetermined before the start of the call in order to benefit their existing positions or pending orders,” Fideres concluded. 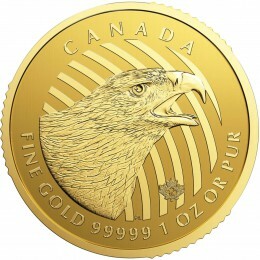 “The behavior of the gold price is very suspicious in 50 percent of cases. This is not something you would expect to see if you take into account normal market factors,” said Alberto Thomas, a partner at Fideres. Pension funds, hedge funds, commodity trading advisers, and futures traders are most likely to have suffered losses as a result, according to Mr. Thomas, who said that many of these groups were “definitely ready” to file lawsuits. “It is fair to say that economic work suggests there are certain days when [the five banks] are not only tipping their clients off but also colluding with one another,” he said. BaFin, the German regulator, has launched an investigation into gold-price manipulation and demanded documents from Deutsche Bank. The bank last month decided to end its role in gold and silver pricing. The U.K.’s Financial Conduct Authority is also examining how the price of gold and other precious metals is set as part of a wider probe into benchmark manipulation following finding of wrongdoing with respect to LIBOR and similar allegations with respect the foreign exchange market. It’s impossible, just think about it ! The futures market has the largest volume in gold and no one who understands how the fix works would suggest that the OTC (physical market) could be manipulated, when the futures market is trading along side. If the futures market goes higher all the selling on fix pulls back, so the fix goes higher, same on downside…… sometimes the fix would last less than 2 minutes, other times over an hour depending on what was going on in the futures market. So if there is any manipulation then you are taking the position that the exchanges are all manipulated….. Believe me when I tell you that if there was ANY way of manipulating the fixing I would have done it (I got paid basis results). It was impossible to manipulate; nobody was or is bigger than the market! And for what results? To gain an extra $1 or $2? Just think of how silly that sounds…. We once bought 500,000 ounces of gold on the fixing and gold closed nearly $20 lower than the fixing price. The next day gold rebounded and never looked back; but that is how it went from time to time. This article makes no sense, as obviously they don’t understand how the fixing works. Once they do , they will walk with their tails between their legs. David the fix has been around almost 100 years and they are saying finally they figured it out. Don’t drink the Kool-Aid ! Talk about all the important reasons that gold will be the go to asset. Talk about consumer debt and how the FED will have to reverse it’s course on Tapering, come the 2nd half of this year, when they realize that the US consumer is tapped out and we have a huge inventory hangover on the retail side, and that consumer debt is approaching 2008 highs…… We are Japan – the Central Banks have screwed up big-time. This is a worldwide problem and we are going to get hyperinflation in the coming years. As I explained to you in the past about the silver arbitrage trade, I have also given you the heads up on this…. Tell your readers not to waste their time with this; there is nothing to this. Focus on the stuff that makes sense and get people to invest in gold for the right reasons not because of some “maybe” story. Every so often we come across an article that is of extra value to our readers. The following article by James Anderson and published at GoldSilver.com is one such article. We have been writing about this subject for a long time and now, the topic is starting to see the light of day. 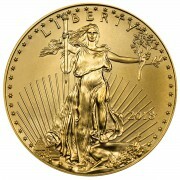 Pick your gold dealers very carefully and yes, we really are one of the good guys. When you first set off to buy silver and gold products, there are many factors, which will likely influence your decision-making. A product’s price is most certainly one of the most important decision making factors. Gold and silver dealers know this, and therefore most dealers build their business models and advertising campaigns around low price offers. Dealers understand that most people are trained to think that in a shopping comparison, lowest price wins. This presumption should especially hold true when investors are comparing fungible or like-kind silver and gold bullion products from one dealer to the next. Who doesn’t want to save some fiat currency on a trade if they can? 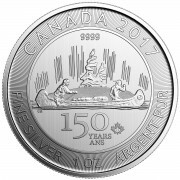 Apparently there are hundreds of active silver and gold buyers who might prefer to actually receive the products they supposedly bought rather than simply saving a few bucks on their original purchase price. Last week, The Orange County Register reported about hundreds of allegations against an online gold and silver bullion dealer located here. About.ag, a silver and gold Internet blogger, has painstakingly documented this delayed delivery fiasco since its inception (click here for more details). According to The Better Business Bureau, there are more than 200 complaints regarding the dealer over the last 3 years. “We looked into the abyss if the gold price rose further. A further rise would have taken down one or several trading houses, which might have taken down all the rest in their wake. I just don’t understand how anyone with their eyes open does not see the obvious. In the end, it won’t matter since the fundamentals will win out, but I think with all the evidence it is disingenuous to dismiss the fact that PM prices are constantly managed. Your friend is not telling the truth. In discussing market matters, the phrase, “this … doesn’t make sense” is the most common phrase used by the Wall Street types to create dis- and misinformation. I’ve seen it dozens of times. Oh, come on!!!! Gold and silver are real money and fiat currencies are the Ponzi depreciating alternatives which have been insidiously thrust upon the masses as a means of covert theft of the wealth of individuals and nations. It has been working for the banks and government employees who have provided the “legal” status for the scam to be perpetuated. Explaining the mechanics of that system to the unaware is awkward at best and downright tinfoil mad at worse? If there was such a device that was capable of creating endless wealth without the needed effort traditionally required to create it, wouldn’t the owner just simply turn it on and provide the benefits to mankind? Such a device doesn’t exist of course. If there was such a device that could surreptitiously transfer property and wealth to the owner of that device, do you think that the unscrupulous owner would just turn it on and run it to provide benefits to him? Of course he would. Remarkably there is such a devilishly evil machine and it is employed across the globe doing exactly what it was intended to do. It’s called the printing press and it is capable of printing enough currency to buy ffalse claims to property. It is also remarkably, sanctioned by government. Now, what is the alternative to the currencies of the world? If it were gold and silver, then wouldn’t you as the owner of the doomsday machine which you own, do everything in your power to create the impression that the alternative is worthless or risky? Is gold manipulated? What a stupid question! I bought my first Silver from Bob at Miles Franklin, learned about them from the sgtreport.com website. 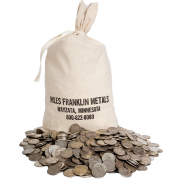 I ordered from Miles Franklin first because I did some research and all I heard was positive things. They deliver every time and are pleasant to deal with, I recommend them to anyone interested in metals.